They have popped up in former butchers’ shops, pet grooming parlours and even undertakers – and the growth in tiny no-frills boozers across the UK, tipped to number 200 this year, is being hailed as spearheading a revival in the enjoyment of real ale. 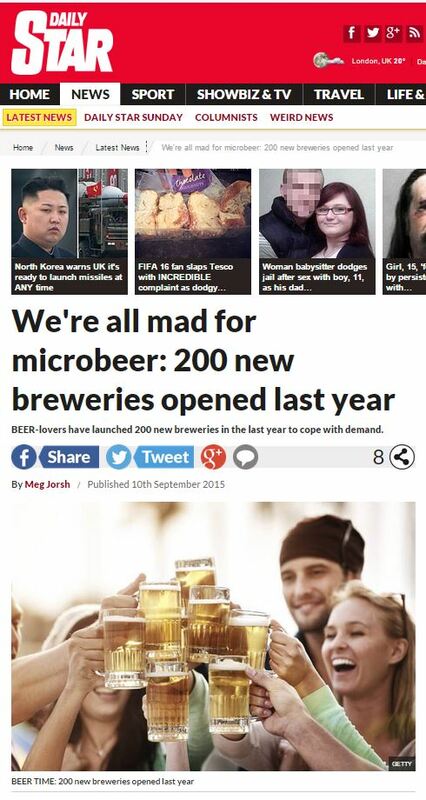 BEER-lovers have launched 200 new breweries in the last year to cope with demand. The UK total now stands at more than 1,400, the highest number since the 1930s, offering a choice of 11,000 different ales. 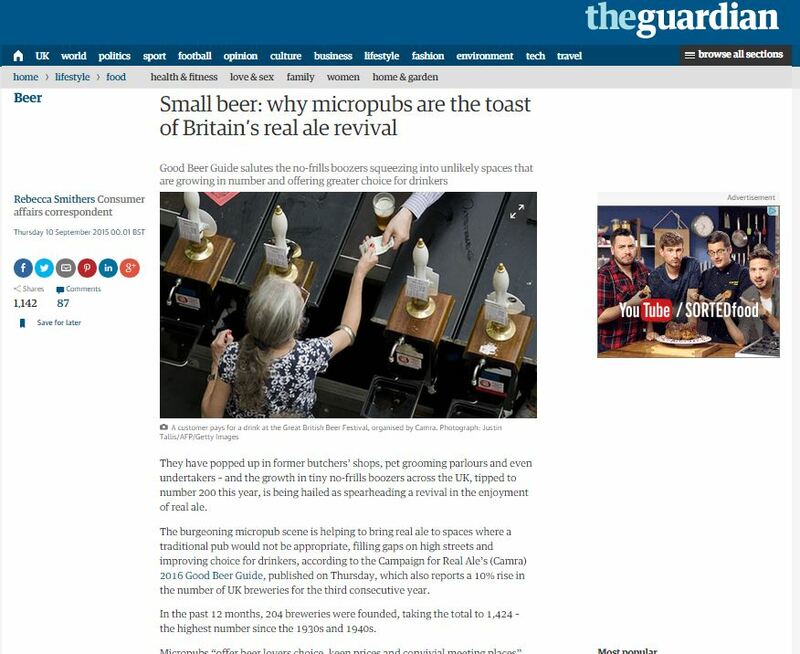 The burgeoning micropub scene is helping to bring real ale to spaces where a traditional pub would not be appropriate, filling gaps on high streets and improving choice for drinkers, according to the Campaign for Real Ale’s (Camra) 2016 Good Beer Guide, published on Thursday, which also reports a 10% rise in the number of UK breweries for the third consecutive year. This entry was posted in CAMRA and tagged CAMRA, daily star, guardian, meg jorsh, Rebecca Smithers, Roger Protz on October 9, 2015 by Michael Marshall.